(Seychelles News Agency) - The deep ocean around the Seychelles islands will be explored as part of a bigger expedition to study and better understand the Indian Ocean’s ecosystem. The mission led by Nekton Deep Ocean Research Institute is expected to take place in March. According to the Seychelles' permanent ambassador to the United Nations, Ronny Jumeau, such research is vital to helping the island nation understand its vast ocean territory, which spreads across 1.4 million square kilometres. “Seychelles aims to become a leader in the development of a 'blue economy' that draws on the resources of the ocean. The archipelago relies on fishing and tourism, but has lately also been exploring the possibility of extracting oil and gas from beneath the sea floor,” explained Jumeau. The former environment minister said that "key to this is knowing not only what you have in the ocean around you, but where it is and what is its value," adding "it is only when you know this that you can properly decide what to exploit and what to protect and leave untouched." The news of the exploration was reported by ABC News on Thursday and Your Subsea News 10 days ago. The articles said scientists and researchers are leaving Bremerhaven, Germany this week on board the Ocean Zephyr for their travel to the Indian Ocean. It was reported that the Nekton mission is to explore the Indian Ocean and document changes taking place beneath the waves that could affect 2.5 billion people in the surrounding region over the coming decades. The Indian Ocean, a vast body of water that's already feeling the effects of global warming, is considered as one of the last major unexplored frontiers on the planet. The three-year survey will also contribute to a summit on the state of the Indian Ocean planned for late 2021. The Nekton Mission, supported by over 40 organisations, will spend seven weeks surveying underwater life, map the sea floor and drop sensors to depths of up to 2,000 meters in the seas around the Seychelles – 115 islands in the western Indian Ocean. "Research expeditions such as the Nekton Mission are therefore vital to help us fill those gaps and better know our ocean space and marine resources to make wise decisions in planning the future of our blue economy," Jumeau said. 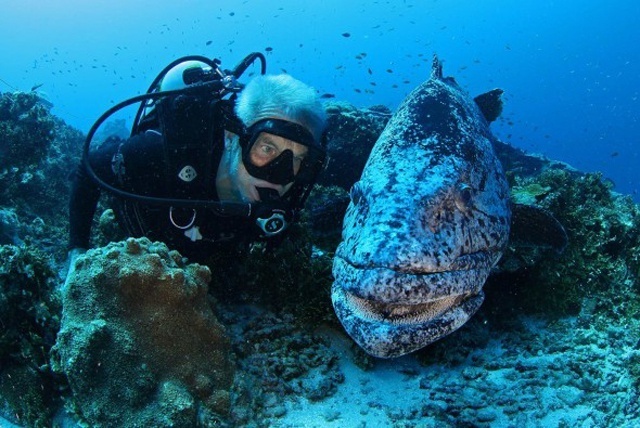 "Seychelles is a critical beacon and bellwether for marine conservation in the Indian Ocean and globally," he said. The mission's principal scientist, Lucy Woodall of Oxford University, said the researchers expect to discover dozens of new species, from corals and sponges to larger creatures like types of dog sharks. Bibby HydroMap - experts in the acquisition, interpretation and presentation of highly accurate and precisely positioned seabed and sub-seabed data - will be providing hydrographic Surveyor for the exploration. “We are delighted to be offered the chance to collaborate with Nekton on such an exciting, scientific research programme. It has presented us with a wonderful opportunity for a member of staff to participate and demonstrate what Bibby HydroMap can offer in the global arena and we look forward to getting started and sharing updates on the progress of the mission,” said Mick Slater, operations director. The principal secretary for environment in the Seychelles’ Ministry of Energy, Environment and Climate Change, Alain Decomarmond, told SNA that the ministry is in discussion with the researchers. “Currently we are working on a cabinet paper to better inform the Seychelles Cabinet of Ministers on the positive outcomes of the exploration,” said Decomarmond.